Two methods to recharge- through AA battery or through USB Adaptor. Either way can provide the Obsidian with continious 11 hours of use per charge! Pair up with your mobile device in seconds and enjoy all the music & videos with high quality sound! FDA registered, RoHS approved, ISO 13485 Certified and CE 0434 Compliant. ✅ RECHARGEABLE FUNCTION:Mimitakara Japan includes built-in rechargeable battery that is incased in the device. The average recharge time to fully recharge the hearing aid is ± 2 hours. There will be an indicator light to indicate that the device is charging. Up to 11 hours of continuous use per charge. ✅ BLUETOOTH FUNCTION: Built-in Bluetooth Function. Pair with your device such as mobile phones and enjoy music and videos as wearing a earphone. You will be able to make and received phone calls and talk naturally without holding the phone to the device. This allows you to received and make phone calls at the same hearing level too without needing to adjust the volume to your hearing needs. 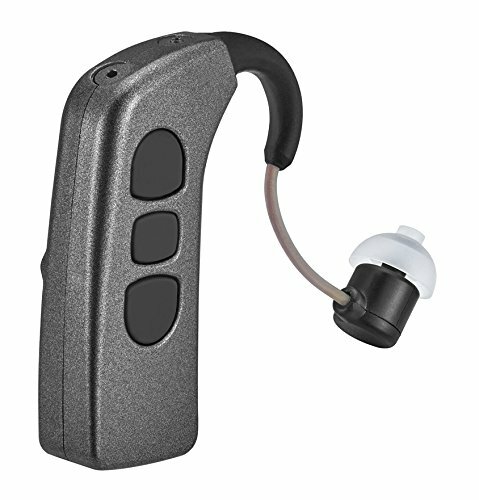 ✅ THREE DIFFERENT HEARING MODES: Mimitakara Obsidian Hearing Amplifier has three different modes to suit your various needs: Full Gain Mode for indoor lives, High Pitch Gain for outdoor activities and Low Pitch Gain for indoor crowded situation. Simply press one button to switch among three modes to suit your needs. ✅ APPROVAL CERTIFICATES: FDA registered, RoHS approved, ISO 13485 Certified and CE 0434 Compliant.